Courtesy of Team Stedman/Kehoe/Hirsch, Sotheby’s Int. RE/Washington. This is a private, gated estate which enjoys a privileged vantage point with beautiful views, from one of Santa Fe’s most desired addresses. The quality construction, by Wolf Corp, is 10 years old; and only minor portions of the original home remain. The main living areas including master bedroom suite with double bath/dressing rooms, are all on one level with no steps. The grounds are impeccable, the entertaining spaces elegant and the bedrooms spacious. Thoughtful details include: a gym, extravagant storage, a heated/air conditioned garage, electric awnings, a separate well house, and an upstairs Sunset Room and deck. This is a very special property for a discerning buyer. Directions to property: From Bishops Lodge Road, turn on Brownell Howland. Take first right to end. Please, send me more information on this property: MLS# 201804400 – $3,750,000 – 335 Brownell Howland, Santa Fe, NM 87501. 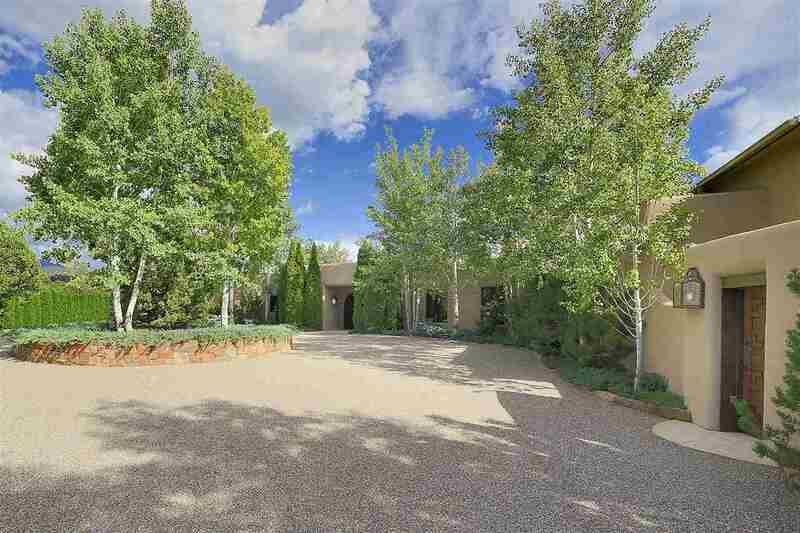 I would like to schedule a showing appointment for this property: MLS# 201804400 – $3,750,000 – 335 Brownell Howland, Santa Fe, NM 87501.